To restore iPhone to factory settings or not is one big decision that every smartphone or any mobile device user may have to face at one point of being a device owner. It's one thing that we have to think of carefully, as device (or more specifically, phone) users, before we proceed in doing it. Restoring our devices to their factory settings removes basically everything that we've added to it since we bought or received it. That means all the apps, songs, photos, videos, notes, emails, reminders, and everything else except the device's OS and built in applications would be wiped out. That is why before doing this, we might want to take extra steps or measures to prevent accidental loss of very important data. In this article, we will be going through with two easy ways on how to bring back your iPhone right to its very first, fresh-from-the-factory configuration, hence the term "factory settings". 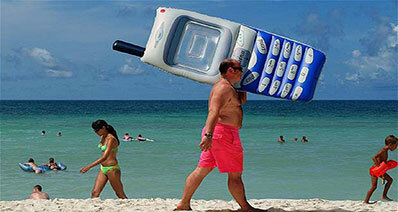 It retrieves files up to 18 types like contacts, messages, notes, photos, videos, call log, etc. It is compatible with iPhone 7 Plus/7/6S Plus/6S/6 Plus/6/5S/5C/5/4S/4/3GS, all iPads, iPod touch 5/4, and the new iOS 10.3. Apple's music player that comes with every device they ever made, iTunes, isn't just a player and store for different media such as audio and video. It includes a feature that allows users to restore any iOS device back to its factory configuration. Before restoration, ensure that the iTunes you're using is the latest one. If you haven't synced your phone yet or made a backup using iTunes, do so now. You may also want to do this if you opt to update the backup you've created before. Switch off the Find My iPhone feature on your iPhone by going to Settings, then iCloud. The Activation Lock should then be disabled after doing this. Make sure that iTunes is still open in your computer. Use the cable included in your phone's packaging to connect your iPhone to your PC. Your phone should appear in iTunes. Select it once it does. Go to the Summary pane and you should see a part of the window dedicated for your phone displaying its model and specifications. Go ahead and click the button saying Restore iPhone. A pop-up window will appear to confirm your decision to restore your phone back to its factory settings. Just click Restore to proceed. Now iTunes should begin downloading the software file. The restoration of your phone should start shortly afterwards. Your iPhone should restart once iTunes has finished restoring your phone to its factory settings. You will be able to see a welcome screen that says Slide to set up. This indicates that your phone has been put back to its original, factory condition. From this point, you can set your device to be new or use a backup to restore previous data by following the steps that the iOS Setup Assistant will present you with. Having all additional data in your iPhone wiped out can be much of a hassle sometimes and you might think of having to restore your phone without losing all the data that you've gathered ever since you got that phone. The good news is that you'll be able to do this easily by just messing up with the settings on your iPhone and not with the data. On your iPhone, go to Settings, then General. Tap on Reset. You should see three different options to choose from. To proceed, tap on Reset All Settings. Be careful not to tap 'Erase All Content and Settings' as this will do the usual restoration to factory settings with the data wipeout that you definitely wouldn't want to happen. Don't worry, though, for if you accidentally tap on it, you will still be asked to confirm your decision. But still, being careful about doing things like this on your phone is always the best way to go. Your iPhone's settings should be back to its original configuration without you having to lose all your data and restore them at a later time. Take note that what you did was to just put the settings back to their original values. This method of resetting your phone settings is low-level and it would perhaps be better to do the method that removes all your data. You can still preserve your data anyway by using iTunes or iCloud to save your data into backups before proceeding with the factory settings reset. Of the two methods presented in the previous sections in this article, the first one is the better way to go. 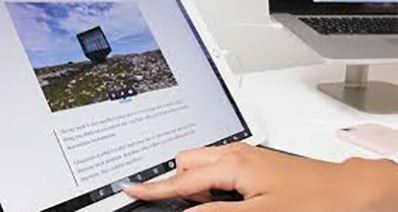 It performs a more thorough and much better cleaning of your phone and you'll probably be pleased with the results once you realize that most minor issues that have been bugging you before you did the factory reset have all been removed. Putting back all the data you've added on top of the built-in applications and settings might take quite a while but with a little determination and patience, performing this very easy restoration should get your phone up and running perfectly the way it was before. 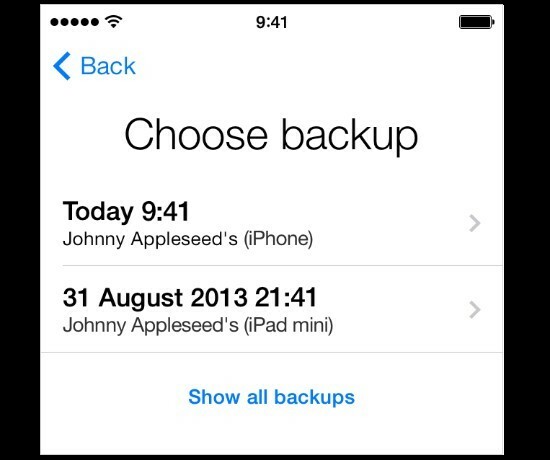 To do this, you may opt to use either iTunes or iCloud to choose a backup to restore from. 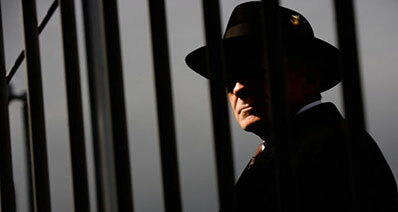 It depends on which of the two were used to create the backup file that you want to use. 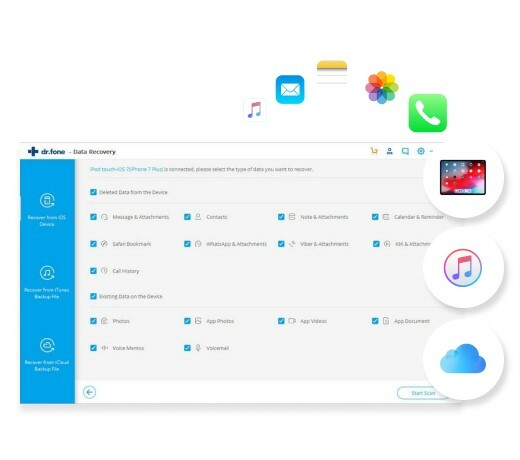 The iCloud is usually the best way to go for iPhone owners who think they will need to backup and/or restore wirelessly using a Wi-Fi connection. 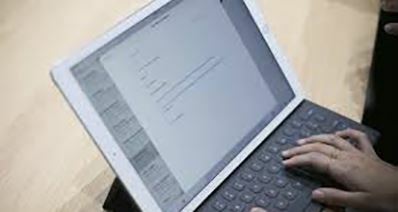 Users who do not frequently use their computers may also want to handle their data the iCloud way. On the other hand, the iTunes method suits users who make networked and on-site backups of very large sizes. Take note that the iCloud method, on the other hand, will only be successful if you have created a backup file in iCloud before you reset your phone to factory settings and wiped out all the data it has. Before proceeding with the actual restoration, make sure that your iPhone's connection to the network, once established, will be strong and reliable so as to avoid any problems while restoring stored data from the Internet via iCloud. Just after resetting your phone back to factory settings, remember that the iOS Setup Assistant will guide you in completing the restoration. Complete the Setup Assistant by setting up your phone with the necessary information that the assistant may ask for. While completing this, you will see a screen with the header Set up your iPhone. 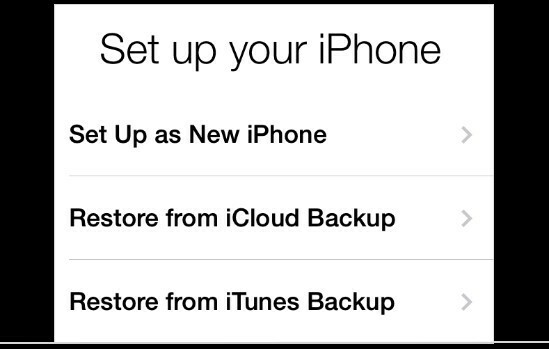 You have three choices and if you're sure to go with the iCloud method, go ahead and tap the option that says Restore from iCloud Backup. You will be taken to the next screen where you'll be asked to select the backup file you want to restore from. The backup list includes the date when the backup was created and the device where the data in the backup file came from. Should you be asked for your Apple ID and password, input them right away as doing so will allow you to proceed with the restoration process. The restoration might take a while so you might need to use some extra patience. Should you feel that the backup will take a bit longer, plug your phone to a power source to avoid it running out of battery, halting the restoration process, and ending up having corrupted or damaged data, settings, and other configuration in your phone. Additionally, if you ever find the data you got from the restoration lacking some of your files, you may use iTunes to retrieve any files, especially songs and other media files, that weren't included in the backup file you used for the restoration. Again, this method will only work if you have synced or backed up your iPhone using iTunes prior to wiping out all the data in your phone for factory reset. Use a perfectly working USB cable, or better yet, the one included with your iPhone, to connect your phone to the PC holding your iTunes backups. This step should be done to make sure that no errors or hardware-related issues will be caused by faulty cables. Check if your PC is running iTunes' latest version and if it isn't, please update it before proceeding with the following steps. From the menu bar, click File, then Devices. Select Restore from Backup. You will be asked to confirm the restoration via a small window that appears after you chose to restore from backup. The window will contain your device or phone name and the date and time when it was lasted backed up. After choosing a backup to use for the restoration, click on the Restore button. Wait until iTunes has finished restoring the data from the backup to your phone. Once iTunes is finished restoring, you too are finished with the whole process and you now have all your data back on your phone after wiping them all out by resetting it to its factory settings.